We were given a goodiebag from Nicci Welsh Make-Up Academy this monday, since it's our final week at the academy. 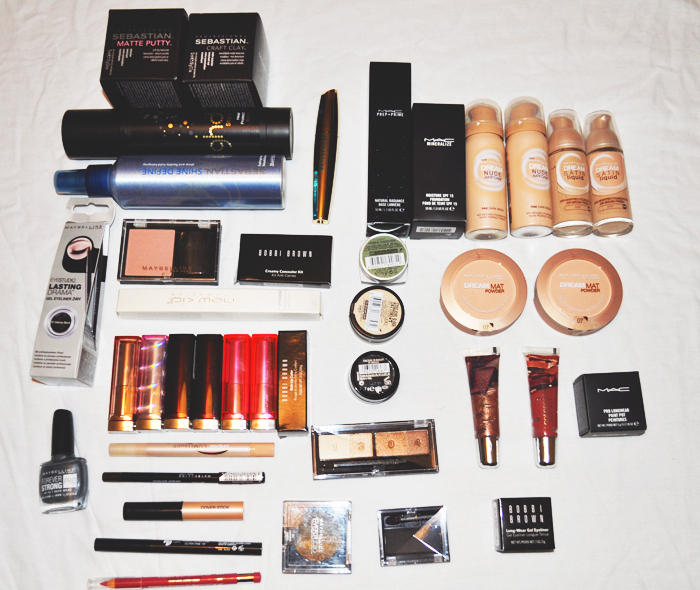 The bag was filled to the prim with lovely make-up products from MAC, Bobbi Brown, Maybelline New York and hairproducts from Sebastian and GHD. 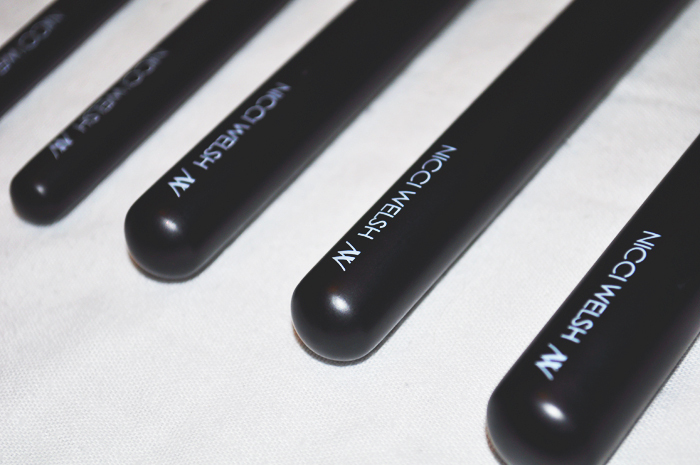 It also contained a full brush-set of 14 brushes from Nicci's own brand, which will be out in a few weeks! Once it is out I will do a full review on them all, as for now I can tell you, that I am pleasantly surprised of how amazing these brushes are!